This page will take longer to load since it contains all of our on-line selections of facet rough for all minerals. NOTE: If the images on this page do not load properly (or if they take too long to load! 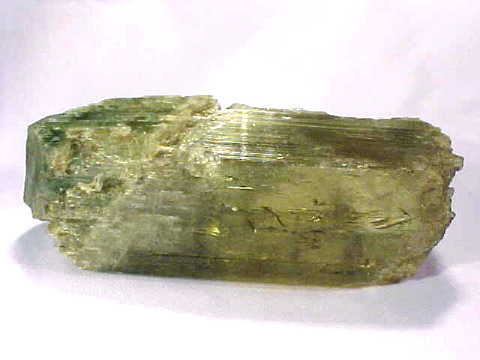 ), then you should visit our Facet Rough Alphabetical Index where there are links to separate pages for each mineral variety. The images of our facet rough on these specific mineral variety pages will load much faster. Our facet rough items are sold and replaced on a daily basis, so do come back often! This 500 gram lot of citrine quartz facet rough has been rough-sawn, leaving only facet-quality citrine pieces with rich "lemon yellow" color, ideal for faceting flawless gems. These rough pieces weigh from 20 carats to 100 carats each! This lot will yield over 1000 carats of flawless gemstones! This is the end of our Facet Rough of All Minerals virtual gallery page. Some of our mineral specimens, polished crystals and spheres also have large flawless areas suitable for faceting gems, so you may wish to check out these pages as well. Would you like us to inform you when we add more natural faceting rough materials on this page?